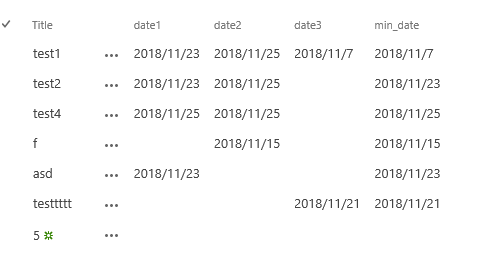 How can i get a minimum date of some columns with dates field.I know i can use the min function(formula) with numbers but not with dates. is this possible using calculated columns if not would i be able to do this using a workflow? You can also use the MIN() function for the dates in the calculated column to get the min date in a set of dates. 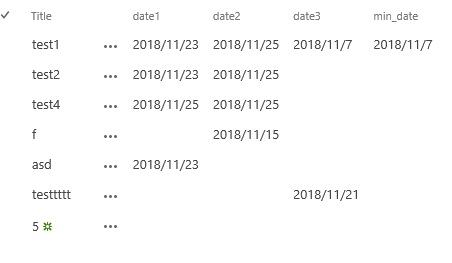 If the one of the date fields (date1,date2,date3 ...) is empty, display empty instead of "30/12/1899". If all date fields are empty, show blank. 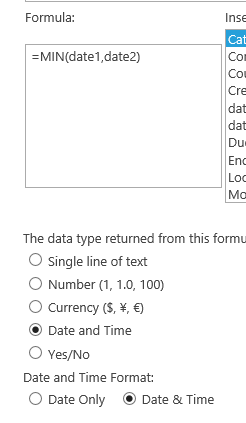 Validating dates in SharePoint so they cannot choose a date before today's date, how would I write that formula?